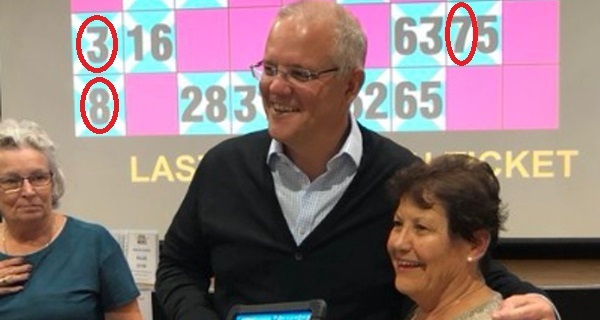 On Thursday night Scott Morrison called a Bingo game. On Friday he came out with some random numbers about Labor’s tax take. This was not a coincidence. Economists are asking why the Liberal Party is stealing its economic arguments from Windsor RSL after the Prime Minister used three bingo numbers, 3, 8, and 7, to invent a billion-dollar figure for Labor’s “tax hit on the economy”. While there was initial confusion from journalists about why they were barred from the Bingo night, the fact that it was the source of Morrison’s scare tactics for the following day cleared up this mystery. Australia’s leader thought the fact that he was leaving his political messaging up to the Bingo Gods might give the false impression his economic plans were unbiased rather than evidently stacked in favour of the ruling class.